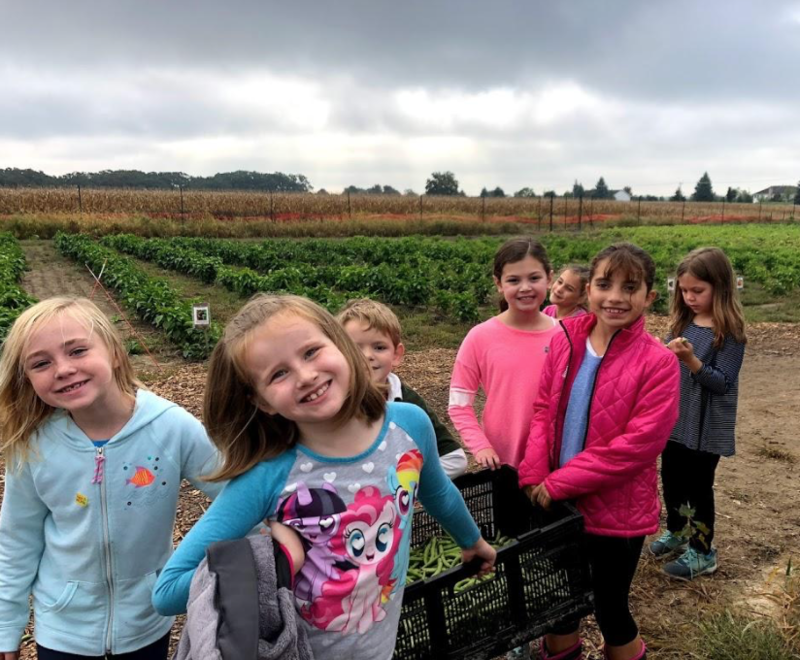 BStrong Together is honored to partner with Mindful Waste and Smart Farm of Barrington to support food literacy education in our effort to enhance the health and well-being of Barrington area children in mind, body, and spirit. We hope you will join us this summer for fun family and educational events - more information coming soon! In honor of Earth Day and Arbor Day celebrations in April, we asked Mindful Waste co-founder Renee Blue to share the story of Mindful Waste and their efforts to educate our community's children about the food system and empower them to become agents of change for a healthy life and a healthy planet. We co-founded Mindful Waste in 2015, and are proud to partner with Barrington Schol District 220 on waste reduction measures. 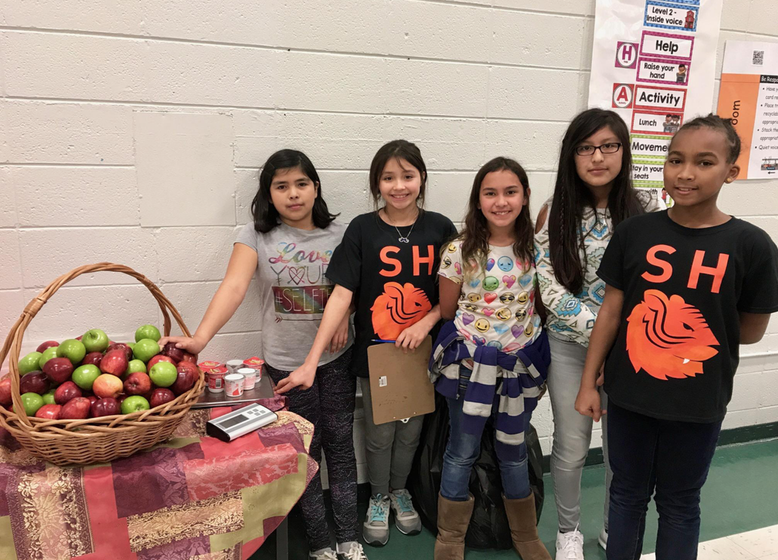 What began in 2016 as food recovery and compost pilots at two elementary schools has grown into a nearly district-wide program, and has saved thousands of pounds of food from entering landfills. April is Earth Month, and a great time to reflect on the why behind our work: teaching kids the value of food at every point in its lifecycle. After conducting more than ten cafeteria waste audits in our district, we knew food waste made up more than half of the waste generated each day - and it was headed straight for the landfill. With 20-minute lunch periods at the elementary level, many kids simply didn’t have time to finish their food. Without food recovery or composting programs in place, we were unintentionally teaching them that it’s okay to throw away food. Not just half-eaten chicken nuggets, but perfectly edible food - while one in seven families in Illinois struggles with food insecurity. It’s not just kids who generate wasted food, though. Roughly 40% of the food produced in America never gets eaten. Why is this such a problem - other than the obvious economic loss and ethical issues? Wasted food plays an enormous role in climate change.Rather than nourishing people, it feeds our landfills, where it produces methane - a greenhouse gas 28 times more potent than carbon dioxide. Sending food to the landfill is also expensive, costing the district tens of thousands of dollars in tipping fees annually. Luckily, there are solutions to the food waste problem. Following the Environmental Protection Agency’s Food Recovery Hierarchy, Mindful Waste and District 220 focused on food recovery first. Our waste audits showed that there were over 200 pounds of unopened milk cartons, yogurt cups, whole fruit and string cheese wasted each day, so we went to work figuring out how to save it from the landfill. 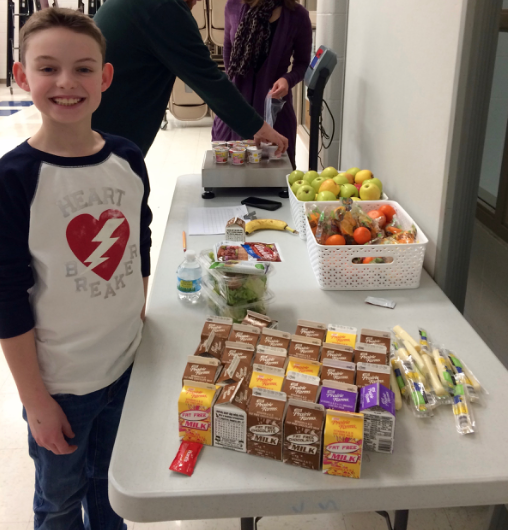 We applied for a grant from the Barrington Area Community Foundation (BACF) to provide refrigerators, bins, scales and educational materials for the schools, which they generously provided. We spent time in the cafeterias, teaching students which foods can be recovered. We let schools know that they had access to the food for any children in need in the school community. We then connected the schools with hunger relief agencies like the Cuba Township, Barrington Township and F.I.S.H. Food Pantries, and Greencastle of Barrington, and volunteers signed on to deliver the accumulated food each week. Though run by a different group at each school, the message is the same: feed your bellies and brains first, then take home what you can. Food recovery is literally last-resort food rescue: a place to save the food that would otherwise be thrown away. To date, Mindful Waste’s food recovery programs in District 220 schools have recovered and redistributed over 25,000 pounds of food to those in need, right here in our community. But what about the food scraps that can’t be recovered? Fortunately, they can be composted. Instead of going to a landfill, District 220’s food scraps now go to Midwest Organics in Wauconda, where they break down quickly and become nutrient-rich soil. This compost is ready to grow again, and is distributed throughout the Chicagoland area. Composting is wonderful, but having students do it without teaching them why would be a missed opportunity. We again looked to BACF for support in funding the creation of lesson plans for kindergarten through fifth grade. These lessons were created in the summer of 2017, in partnership with District 220 curriculum specialists and instructional coaches. Tied to the Next Generation Science Standards, these six supplemental lessons take a deeper dive into the environmental impacts of food waste - and empower kids with the tools to solve it. The lessons are available to all District 220 elementary teachers. In 2018, we were offered the opportunity to take food literacy education one step further: the district needed a field experience tied to the third-grade science and social global studies curriculum, and Mindful Waste and Smart Farm were able to provide exactly that. Advocate Good Shepherd leased a 10-acre parcel of land to Smart Farm, and we joined forces to create an educational farm focused on regenerative growing practices. After a spring and summer of intense preparation, in September of 2018 we welcomed over 700 third graders to the farm. The trip enabled them to experience firsthand organic growing practices, harvest and sample locally-grown green beans, wiggle with the worms at our vermicomposting systems, see the steam rising off of the hot compost, observe the live observation beehive, and tour the farmhouse full of educational murals - all just a few miles from their schools. They also had the opportunity to view our aquaponics system, purchased with grant funds from the Barrington Junior Women’s Club. We are so fortunate to have the opportunity to work with the third graders each year, and can’t wait for this September’s field experience. Now, the critical piece is continued education at every level. Jennifer and I truly believe that showing kids the interconnected nature of food and the environment, and about their own role in the food system are keys to preparing future-ready learners. (Click here to learn more about how schools can ensure students are climate-change ready.) Current students will inevitably face challenges presented by climate change in their future workplaces. This is one important piece of ensuring that they are aware of the problem and can begin to identify potential solutions. This April, we hope you will find ways to prevent food waste in your own households. Village of Barrington residents can compost certain food scraps in the landscape waste carts provided by Groot, and those outside the Village can sometimes select a waste hauler that offers compost service. Or, you can compost right in your own backyard - we are teaching a class at Smart Farm on May 11 to show you how. Click here for more information and to register. We would love to see you there!